A passage to our childhood, cartoon shows are adapting plots and genres with the changing Indian audience, entertaining us with both domestic and dubbed international productions. Visual entertainment has been a part of our homes since television hit town in the late 1960s. Mobs used to gather around cable TV as inaugural Indian channels like Doordarshan aired news, movies and weekly serial shows, whose plots people used to anticipate. At the advent of 21st century, we have communication via stationed satellites offering a wide array of both national and international channels on the television- a device which has now become a must have commodity. Distinguishable by their vibrant colours, humour, energetic animation and memorable characters, cartoon serials are a cult phenomenon. The dialogues scripted are light and humorous, with witty comebacks to keep the audience engaged in the plot and the shows have cheerful opening tunes or jingles, which evolve characteristically to become a medium of amusement and marketing strategy in one. The mind may mature as we grow, but nostalgia continues to stem from a variety of objects and images. It is said that a child has the most impressionable mind, and as we grow up on a steady diet of cartoon television programs, the adult mind never ceases to be entranced by comic illustrations either. Oswald, with his warm smile, accompanied by the dog Weenie, walked us through bright sunny days and rainy wet ones. Scooby Doo smelled at the hinge of perplexing cases with smart Welma and her round glasses, while Spongebob’s coffee mug used to release steam underwater, and the Flintstones had a man-powered family car! The character renditions of popular shows have followed culture with googly eyes, scrawny hair and elementary clothing and their life story through a number of episodes runs parallel with the viewer’s life, providing entertainment alongside daily routine. The storylines with unreal scenarios help us ponder over the possibilities of the impossible and broaden our minds, like Doraemon’s gadgets are an inspiration, agreeably innovative even if the story is sometimes too far-fetched. According to the KPMG India-FICCI Indian Media and Entertainment Industry Report 2017, the Indian animation and VFX industry grew at 16.4 per cent in 2016 to reach a size of INR59.5 billion (Eur 750 million), driven primarily by a 31 per cent growth in VFX, with animation remaining steady at a growth rate of 9 percent. Homegrown daily soaps like Chhota Bheem, where brave kids protect the kingdom of Dholakpur, Pogo’s Kumbh Karan and The Adventures of Tenali Raman, offer a more relatable connect for Indian kids with the lead characters, plot and setting of cartoon imbibing our cultural habits. Krishna Desai, senior director and network head, kids, South Asia, Turner International India who co-produced the show, says, “The (Chhota Bheem) show is a success mainly because of its storyline and its characters who are very strong. Kids not only adore the character but also aspire to be like him. The fact that it is in the local language (Hindi) increases its mass appeal and popularity,” says Desai. Based on Hindu mythology, a number of shows have been aired depicting the epic tales of Ramayana, Mahabharata, and especially Krishna, the Hindu deity, relaying his adorable childhood stories through serials like Little Krishna, Krishna Balram and now Roll no. 21, which has a modern age twist to it. 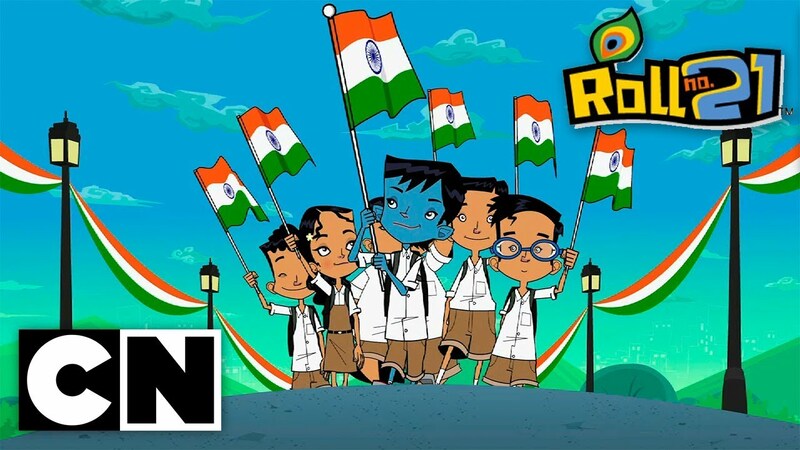 Airing on Cartoon Network, the rivalry between Krishna and Kansa is a hit with school going children as it deals with the problems a student faces. Adult animated comedy series are doing very well in the Indian market too. Rick and Morty, an American science fiction series shows the adventures of Morty with his boozy scientist grandfather Rick and is very popular among the Indian youth. With a substantial fan following, South Park, another show in the adult genre, follows the foul-mouthed adventures of four school going boys and is considered a master class in satire. Japanese and Korean anime is also finding cult admirers in the Indian audience with its characteristic style of animation- inky strokes, watercolor illustrations and dramatic plotlines. Like the popular Japanese show Naruto which tells the story of an adolescent ninja, seasons of multiple anime serials are being downloaded heavily from torrent sites. “With foreign anime shows running successfully and a number of animated movies being released each year, we may have surpassed the 90’s. Indian animators too have come up with amusing shows like Chhota Bheem, Akbar and Birbal, Tenali Ramman, Vikram and Betal and Roll no 21. These are no doubt great shows for children to grow up with,” says Gursimar Bir, an animation enthusiast. The culture of cartoon serials is fostering and being shared globally as an excellent medium of entertainment and information for growing kids, and as an adult’s portal to the child within. Games of Thrones : les dragons de la Khaleesi sont indiens !